Introduced to Britain from its native China in the nineteenth century, Reeves’s muntjac has spent the past hundred years colonising southern and eastern England. Its phenomenal success has sometimes brought it into sharp conflict with those who make their living in the countryside, with conservationists and road users alike. As a result, and with no natural predators to control their numbers, muntjac must be managed. To the deer stalker this presents a new sporting opportunity, for though they may be the smallest of our deer species, muntjac are nonetheless a challenging and absorbing quarry to hunt. In this book, Graham Downing has outlined their origin and spread, and explained in detail their natural history before sharing his experiences of muntjac stalking. He covers the pursuit of muntjac on foot, the use of high seats and calls, and even the rare opportunity to stalk barking muntjac by sound alone. For the stalker who is interested in trophies there is advice on the preparation and measuring of heads, while nobody who enjoys locally sourced food, fresh from the countryside, can fail to be enthused by his notes on muntjac cookery. 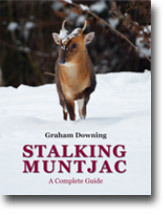 This is a book about stalking muntjac, but it is also a book designed to improve understanding of this fascinating species and to encourage its responsible and humane management. The complete introduction to shotgun shooting. 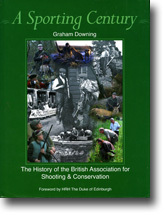 The book covers the history and development of the sport, the law related to shooting, guns, cartridges and accessories, gundogs, and the roles of gamekeepers, beaters and other support staff. There are sections on game shooting, roughshooting, pigeon shooting and wildfowling. 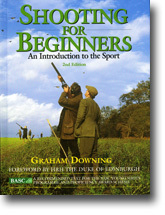 A recommended text for the BASC Young Shots programme. Foreword by HRH The Duke of Edinburgh. A guide to setting out in Britain’s fastest growing shooting sport. The book deals with the choice of stalking rifles, optics and accessories, safety and the law related to deer and deer stalking. 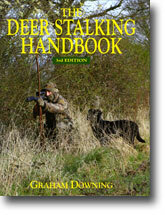 There is a detailed guide to Britain’s deer species and sections on both woodland and hill stalking. Finally, the book covers gralloching, butchering and venison preparation. This book takes the woodland stalker beyond the basics to consider in detail the strategy and tactics required in order to achieve success. 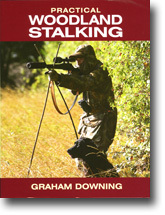 There is an extensive and in-depth section on hunting techniques, covering the use of high seats, stalking on foot and co-operative culling. Venison preparation and the fitting out of a larder is covered, as is venison butchery and direct sales to the public. The first hundred years of the British Association for Shooting and Conservation, Britain’s biggest shooting association, founded in 1908 as the Wildfowlers Association of Great Britain and Ireland (WAGBI). This detailed and fascinating history charts the growth of the association from its small beginnings, through its battles to defend wildfowling in the post-war years, to its place today. A tale of tough political fights, of fights, and more than a few disasters. Foreword by HRH The Duke of Edinburgh.